Visual impairment is a multifactorial issue affecting 285 million people world-wide and influencing their quality of life. Although surgical procedures such as photorefractive keratectomy (PRK), laser in situ keratomileusis (LASIK), laser sub-epithelial keratomileusis (LASEK), and implantation of synthetic intra-ocular lenses have shown promise in correcting refractive errors, post-operative complications represented by blurry vision (corneal haze) are widely recorded, with the duration of the symptom varying with each case from a few days to months. In addition to surgical procedures, corneal injuries such as alkali burns, infections, etc. cause keratocyte apoptosis, which triggers a wound-healing cascade leading to corneal haze. Corneal haze is the result of aggressive wound healing and the formation of scar tissue post-surgery, which involves the differentiation of keratocytes to myofibroblasts causing fibrosis, and unorganized deposition of collagen types IV and VII leading to reduced ocular clarity. Therefore, the goal of future research is to promote wound healing through regeneration without fibrosis, and reducing the oxidative damage caused by reactive oxygen species. 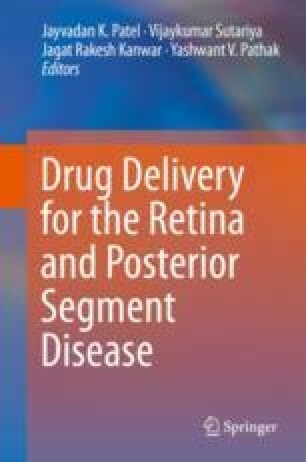 Consequently, significant research is being undertaken in reducing these complications, in addition to increasing the efficacy of the existing drug formulations to reduce ocular toxicity, corneal haze, and reduce the rate of wound healing. This chapter presents a comprehensive review of the current treatments available, and new prospects for therapy. The authors are grateful to the National Health and Medical Research Council (NHMRC; APP1050286) and Australia-India Strategic Research Fund (AISRF).